I'm sure everyone has seen those magnifying mirrors. You know, the ones that zoom in so close you see every nook and cranny of your face. 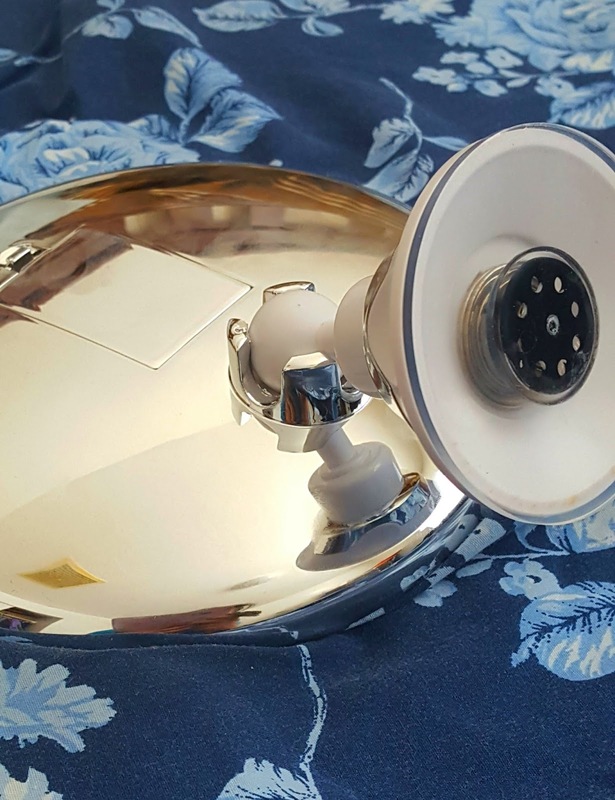 Believe it or not, I've never actually owned one of those, although I have seen them in countless hotel rooms and dermatologist offices. Which, while I'm thinking about it is quite strange because I am one of the few people who still actually plucks my eyebrows. So when I had the chance to get one I thought, "Why not?" This one from Mirror on a Rope has a 10X magnification and is also lighted, which is nice even in the day time to really see all those pesky tiny hairs. I'll admit, when I first used this mirror I was intrigued by the zillion pores on my skin, only made bigger by the mirror. When I finally settled in to doing what I intended to do, tame the unruly hairs that claim to be eyebrows, I wondered why I never thought to get one before. 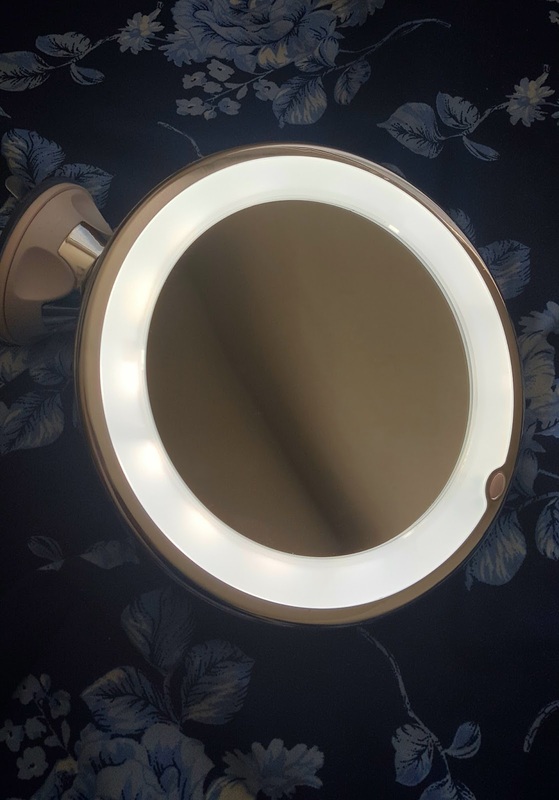 This mirror also has a suction cup which makes it super duper convenient. I just stuck it right on my bathroom mirror and it's ready to go. The other thing I love is that the light is powered using batteries so you don't have to worry about finding a plug, which makes this easy for travel, to use in your office, or basically anywhere you want. If you are interested in snagging up one of these mirrors you can buy it here. 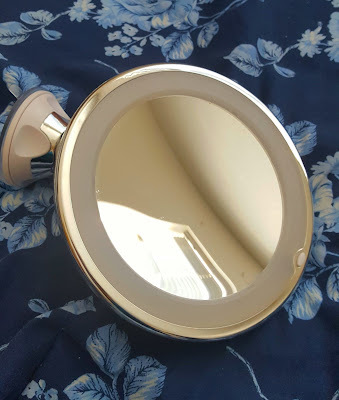 Even if you don't pluck your eyebrows (I'm sure most of you are smart enough to have found a less torturous way to keep yours in check), this mirror would be excellent for precise makeup application. Hello, brows on fleek. At my age....and poor eyesight....I need this!! This is a great one!! Happy Monday gorgeous!! I pluck my eyebrows too! The one time I had mine waxed the person burned me so I refused to ever have it done again. haha Seems like a great mirror! I only pluck the tiny hairs between my brows now but this mirror sounds perfect for that. Great post gorgeous lady I hope you are having a great week!